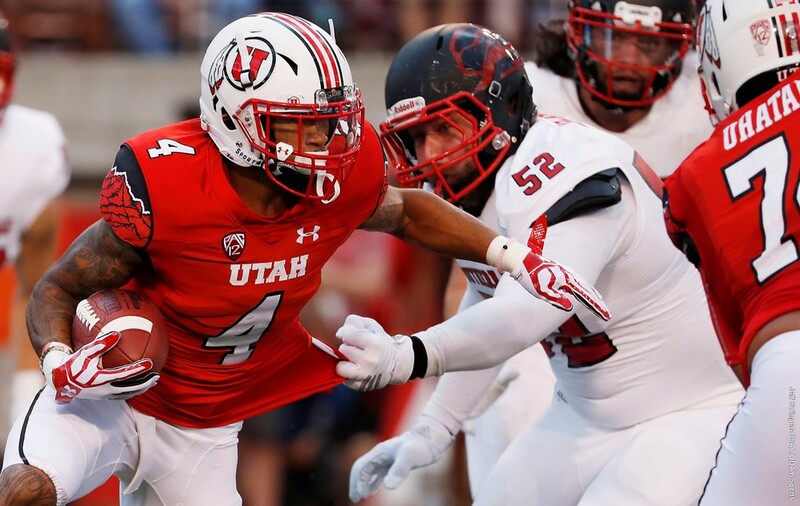 SALT LAKE CITY –The Utah football team recorded its first shutout since 2012 as the Utes won their season opener, 24-0, against Southern Utah on Thursday night at Rice-Eccles Stadium to open the 2016 season. Utah’s last shutout was against Northern Colorado in 2012, a 41-0 win. Utah led 3-0 after a field goal on its first drive of the game before a pair of late-second quarter touchdowns gave Utah a 17-0 halftime lead. Utah increased its lead to 24-0 after a fourth-quarter score. Making his first start as a Ute, quarterback Troy Williams threw for 272 yards (20-of-35) with no interceptions and two touchdown passes. Tim Patrick had 105 yards receiving on five catches with two touchdowns. Between 55 yards rushing (12 carries) and 55 yards receiving (three catches), Troy McCormick recorded 110 all-purpose yards to lead the Utes. He also scored on a touchdown run in the second quarter. On defense, Cody Barton led Utah with 11 tackles, a career high. Kylie Fitts came away with three of Utah’s nine tackles for loss, including 1.5 sacks. Hunter Dimick had two TFL and a sack. Marcus Williams caused two first half turnovers, forcing a first-quarter fumble and picking up his seventh career interception in the second quarter. He also had a pass breakup. Also notable for the Utes was punter Mitch Wishnowsky, who set a school record with a 55.5-yard punt average (six punts, 333 yards). His five punts of 50+ yards on the night is second-most in school history. A pair of touchdowns in the final four minutes of the second quarter gave Utah a 17-0 lead at halftime and control of the game. The offense took advantage of an interception from Marcus Williams to go 53 yards on the next drive which resulted in a four-yard touchdown run by McCormick to put the Utes up 10-0 with 3:41 left in the first half. Following a quick three-and-out by the defense, the Utes quickly came back to score their second touchdown of the game, a two-yard pass to Patrick from Troy Williams, which was set up by a 33-yard rush from McCormick. 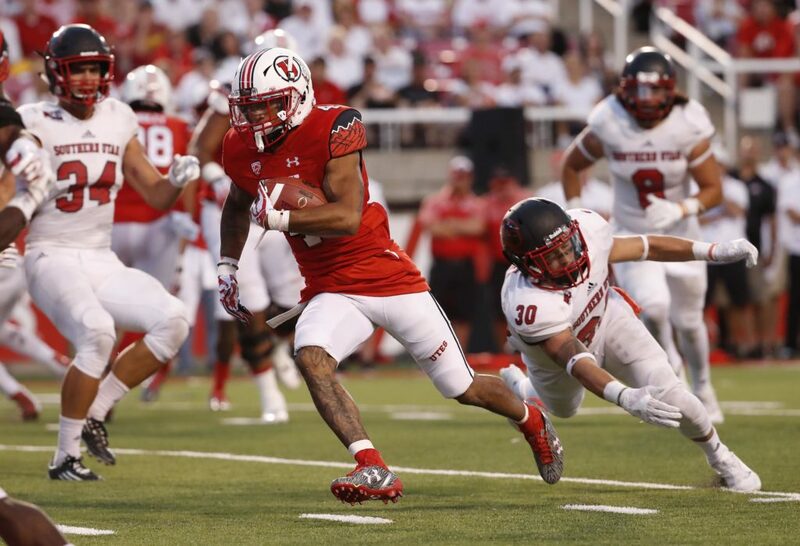 The Utes gained 115 yards in the second quarter and held the Thunderbirds to just 12 yards. The Utes held the ball for over 22 minutes in the first half and held a 236-89 advantage in total offense yards in the half. Utah capped its scoring in the fourth quarter with a 57-yard touchdown pass from Williams to Patrick, giving the Utes a 24-0 lead. Utah took a 3-0 lead on its first drive of the game on a 26-yard field goal from Andy Phillips. Phillips was 1-for-2 in field goals on the night, breaking a streak of 11-straight field goals dating back to last year. Rice-Eccles Stadium sold out for the #SUUvsUTAH matchup with a total of 45,945 people. The Thunderbirds were led by the defensive duo of Mike Needham and Taylor Nelson. Needham racked up 11 tackles, including 1.5 TFL as Nelson added 10 tackles, including 2.5 TFL. “Our defense is one of the biggest strengths on our team. 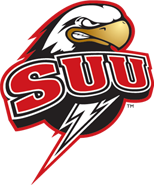 We stayed fresh and we did a great job,” SUU head coach Demario Warren said. Southern Utah is back in action as it opens its home season in Eccles Coliseum next Saturday by hosting Southeast Louisiana. The Thunderbirds will kick off at 6 p.m. for their Military Appreciation Game. Utah returns home on Saturday, Sept. 10, facing BYU at 5:30 p.m. MT.